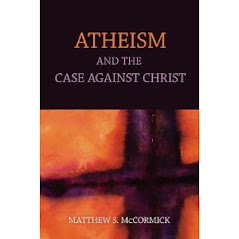 I'll be discussing an argument from my book (Atheism and the Case Against Christ) at UC Berkeley tomorrow night. See details a few posts back. Specifically, I'll be talking about my Salem Witch Trials argument. Roughly, the idea is this. It is widely alleged that Jesus was executed and then returned from the dead. Our primary source of information about the alleged resurrection is the Bible. The main way that the Bible reports of the resurrection have been defended is by defending its historical reliability. I argue that by the epistemic, historic, and common sense standards that we (including Christians) already accept, there is not enough evidence to support the resurrection. 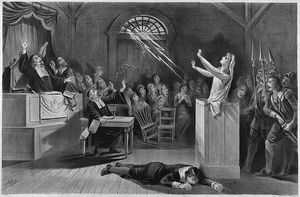 If it is reasonable to conclude that the resurrection happened on the basis of the Bible evidence, then it is even more reasonable to believe that the accused in the Salem Witch Trials were actually witches. We have far better quality evidence regarding Salem, and a much greater quantity of it. And the Salem evidence possesses all the same virtues that the resurrection evidence is alleged to have. But it is not reasonable to conclude that the accused were actually witches in Salem. Therefore, it is not reasonable to conclude that Jesus was resurrected. If we accept magic in one case, then we have to accept magic in the other. Or, the more reasonable conclusion is to reject magic in both. I go on to consider some objections that are typically offered to this argument. My Powerpoint slides for the talk are here: The Resurrection and the Salem Witch Trials. Hope to see you there. It should be an interesting discussion. "77% believe that Jesus executed and then came back from the dead." The word "was" is missing and "back" is blocked out by the picture.